The main products that we work with are fluorite ores and powder. Fluorite is the mineral form of calcium fluoride. Fluorite has many colors and can also be transparent and colorless. We partner with fluorite mining companies, obtaining exclusive sales and marketing rights for their entire mining output. We then draw on our extensive sales network and market knowledge to promote the product, create new markets, and maximize sales profits. There is a constant demand for fluorite, thanks to the growing chemical industry and the increasing use of fluorite in glass manufacturing. These two industries account for the majority of fluorite demand globally. It is also used in the metallurgy and aluminum smelting industries, among others, as fluorite has a wide range of applications. The main buyers of fluoride are North America, Pacific Asia, and Europe. Western Europe, China, and the U.S. are the biggest consumers of fluoride worldwide, and, as such, they account for most fluoride purchases. Western Europe and the U.S. in particular are the main consumers of acid fluorite, which is used in the manufacture of hydrofluoric acid. On the other hand, the cement and glass industries in China generate the largest demand for pure fluorite in the world, and are expected to drive the market globally in coming years. There are three principal types of industrial use for natural fluorite, commonly referred to as “fluorspar” in these industries. These uses correspond to different grades of purity. 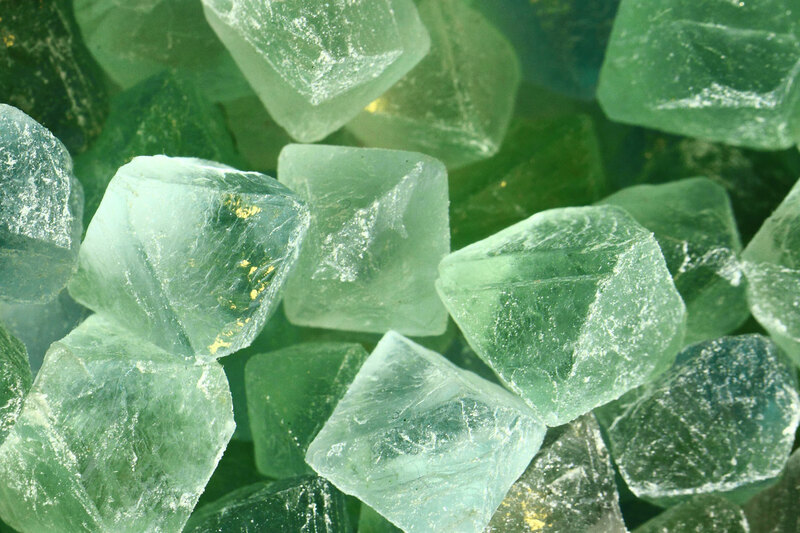 Metallurgical grade fluorite (60–85% CaF2), the lowest of the three grades, has traditionally been used as a flux to lower the melting point of raw materials in steel production to aid the removal of impurities, and later in the production of aluminium. 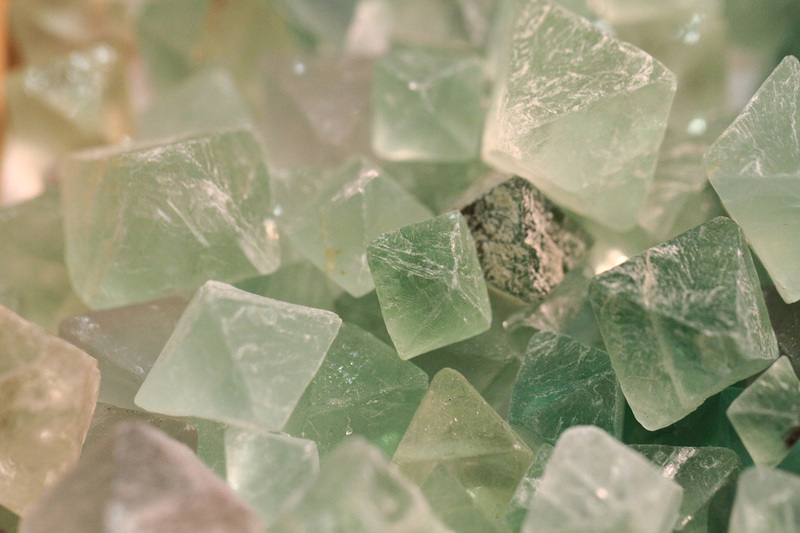 Ceramic grade fluorite (85–95% CaF2) is used in the manufacture of opalescent glass, enamels, and cooking utensils. The highest grade, “acid grade fluorite” (97% or more CaF2), accounts for about 95% of fluorite consumption in the U.S., where it is used to make hydrogen fluoride and hydrofluoric acid by mixing the fluorite with sulfuric acid. Fluorite, also known as fluorspar, is a popular mineral that is available naturally in all colors of spectrum. It is the mineral form of calcium fluorite, and belongs to the halide class of minerals. It is a visible mineral both in ultraviolet as well as visible light. Pure fluorite is colorless, and the variations in the color are caused by various impurities. The most common colors of fluorite include purple, blue, yellow, green, and blue. Fluorite is known to be one of the famous fluorescent minerals. The word fluorescent comes from fluorite, as it crystallizes in a cubic design. The world reserves of fluorite are estimated at 230 million tonnes (Mt) with the largest deposits being located in South Africa (about 41 Mt), Mexico (32 Mt) and China (24 Mt). 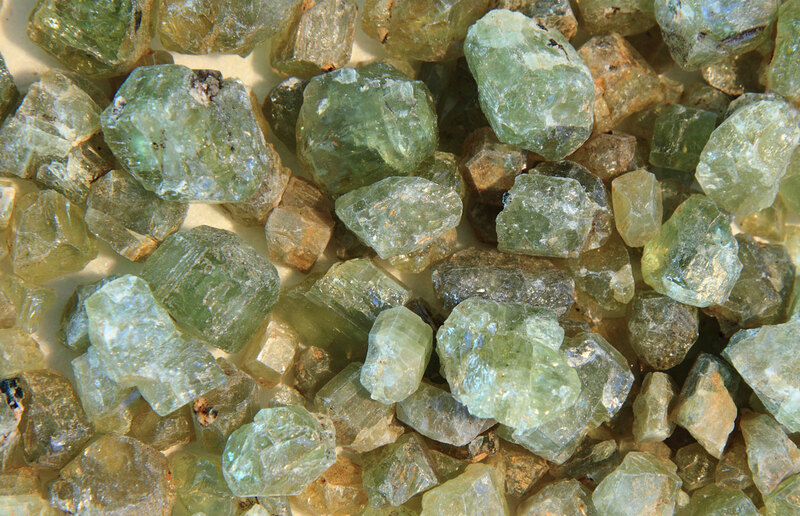 China is by far the leading producer of fluorite, producing around 3 Mt annually (as of 2010). It is followed by Mexico (1.0 Mt), Mongolia (0.45 Mt), Russia (0.22 Mt), South Africa (0.13 Mt), Spain (0.12 Mt) and Namibia (0.11 Mt).